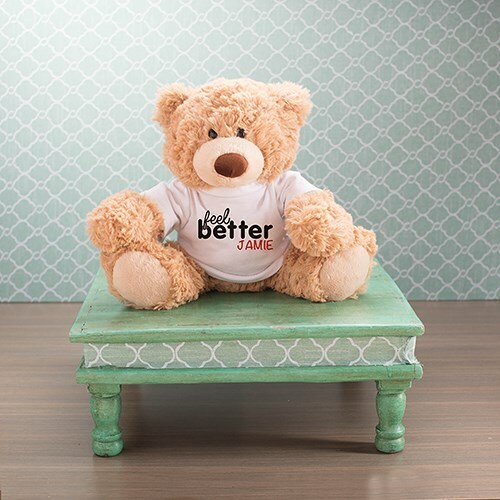 If someone you know is feeling under the weather, send them the gift of a personalized feel better Coco bear. Our Coco bear from the Aurora collection is made of super soft, mink touch fur with accent paw, nose, and black bead eyes - his paws and bottom have beads inside for stability. He sits approximately 10" H, and actual size is 13" H flat x 10" W x 8" D. He is made of polyester and surface washable. Additional Details Shop other great get well soon bears to find the perfect fit to help brighten someone's day.